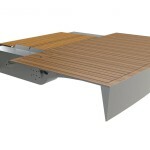 It can be difficult at times to get into and out of the sea, or in or out of a tender from the aft side of the yacht. 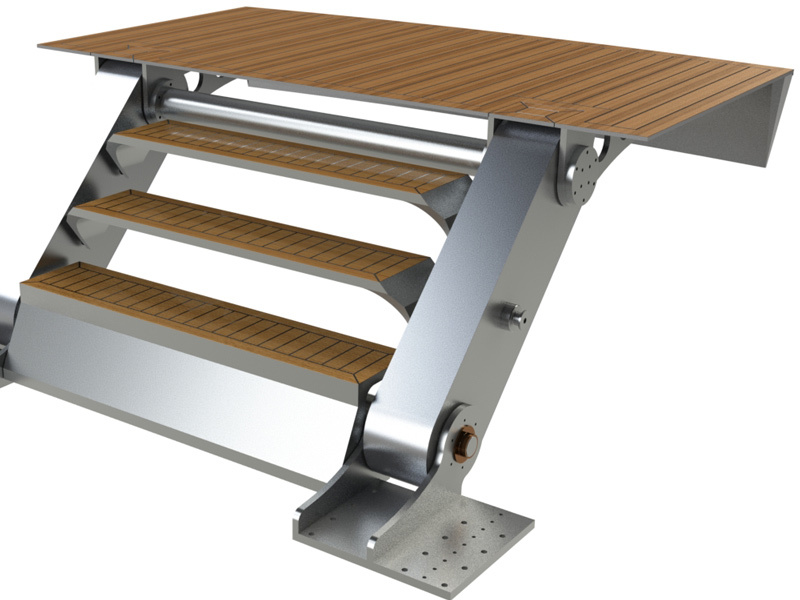 The Leveller is a multipurpose swim ladder and swim platform that makes this a lot easier since it can be positioned on any chosen height above the sea. 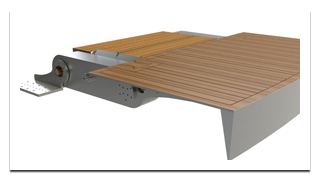 The Leveller can also be used to lift a tender in and out of the water or to lift goods to and from a higher positioned quay. 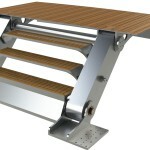 It even functions as a passerelle. 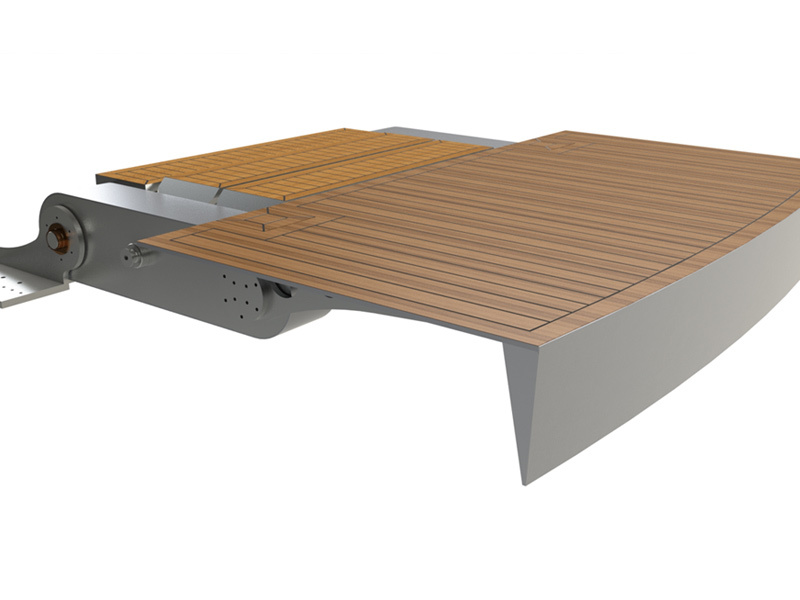 The Leveler is custom designed to the specifics of the yacht and use by the owner, and is easy to install in the ship’s structure. 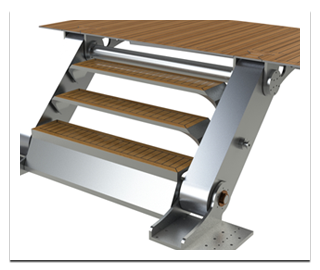 The innovative mechanism ensures both a highly stable platform and steps, and very easy and safe operation.